We’re responsible for sales, marketing, and customer relationships nationwide, consistently delivering dedication, innovation and quality within the world's leading automotive company, which sold over 100,000 cars in the UK in 2016. At Toyota (GB) PLC, we know that your engagement is critical to our success. We want you to achieve success that matters to you. Whatever your priorities (career progression, personal development, work-life balance) we can help you to have an engaging and fulfilling role in our team. Help you set meaningful goals and objectives. Encourage your personal and professional development. Support your career progression with appropriate development and milestones. Enable you to become the best you can be. Hear our employees explain what they value about working here. It's one thing to talk about doing the right thing, but we want to be able to prove it. One of the ways we make sure that we're making a difference is by using employee surveys. As well as our own internal Toyota survey we benchmark ourselves against the best companies in the UK, through the Sunday Times Best Companies survey. 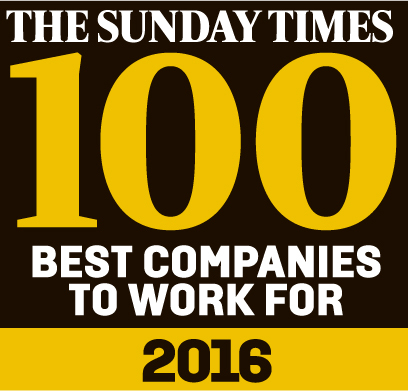 We’re delighted to say that in 2016 we’ve been included in the Sunday Times Top 100 list for a second year in a row. Following our 2015 listing at our first attempt, we’ve managed to increase our engagement levels whilst also growing our business performance, which is a result we’re all extremely proud of. We know that this great result is only possible because of our employees, so we have a continued commitment to make sure our people have rewarding careers with us. We know it's really important that our employees have a chance to tell us how they feel. As well as our surveys, we hold employee forums, which allows staff at every level of the business to bring ideas and questions from across the company for discussion, debate and ultimately, improvement. Forum members are then able to act on these ideas to make change that benefits everyone. One example of bringing best practice to life was the introduction of a lounge area in our café bar, as seen in the video below. Like what you see? Have a look at the jobs we currently have on offer, or visit our "Life at Toyota" to find out more about us, including how we supported Comic Relief in March 2015. Explore roles at Toyota Financial Services and help our Toyota and Lexus customers finance their vehicles. Explore exciting roles at our European office, based in Brussels, driving the success of Toyota and Lexus across R&D, Manufacturing, Marketing and Sales across Europe.